A beautiful floral design by artist Debbie Mumm. Features a Hummingbird over a pot of Flowers. 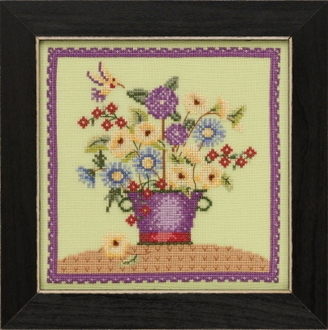 Design size: 7" x 7" (17.78cm x 17.78cm).